It’s important to know which hydraulic cylinder is going to work best for your application. Each type of cylinder uses a different design and mechanisms to function. It’s also important to use cylinders that are designed by engineers and fluid power specialists. In this post, we will look at some of the different types of cylinders Best Metal Products has to offer. Single acting hydraulic cylinders are ideal for use in applications that have weight, gravity, or another assisting force which will move the cylinder in a single direction. Single acting hydraulic cylinders use hydraulic pressure to extend or retract the rod in one direction. Single acting cylinders often cost less than double acting cylinders and work well in a vast range of mobile and industrial applications. Double acting hydraulic cylinders are more common than single acting cylinders because they work in more applications at almost any angle. In applications where there is assistance through gravity or weight, hydraulic pressure is still often used to cushion the stoppage, control acceleration, and meter the rate of travel. Piggyback hydraulic cylinders use two cylinders in opposite directions that are yoked or welded together. This means that there is twice the stroke while taking up half the space. Piggyback cylinders are idea in applications that have limited space but require a long stroke. 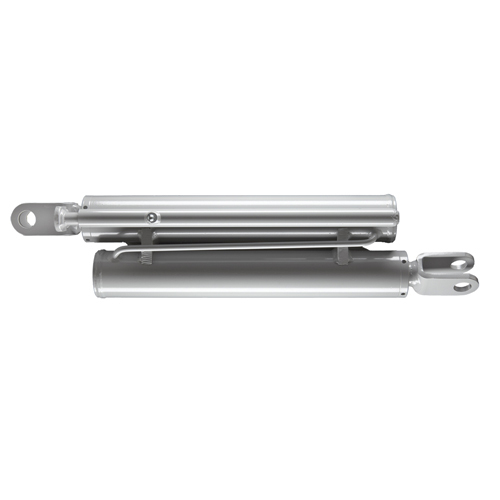 Telescopic hydraulic cylinders are made available in single acting and double acting types. Like piggyback cylinders they allow for a long stroke while taking up much less space when collapsed. At Best Metal Products, we believe that every single hydraulic cylinder that we produce meets stringent quality standards, performs or exceeds its rating standard, and functions with a long service life with the utmost reliability, predictability, and safety. If you are an OEM and have been looking for an experienced, trusted hydraulic cylinder manufacturer, do not hesitate to contact us today!